If you want to know how something is done, why not ask an expert? 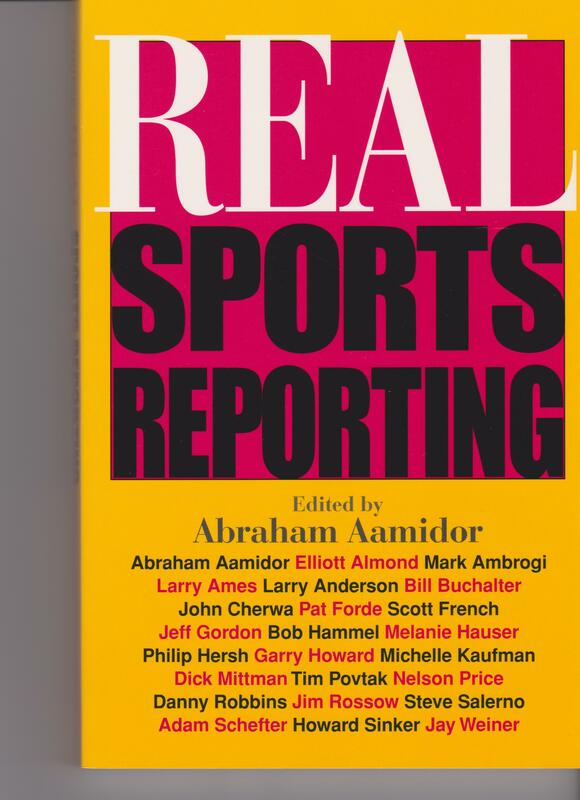 For Real Sports Reporting, journalist Abraham Aamidor recruited top sportswriters and editors from major media outlets, including the Chicago Tribune, Orlando Sentinel, St. Louis Post-Dispatch, Denver Post, and Indianapolis Star, to write about their experiences and lessons learned. The result is an engaging, informative, highly personal look at the real-life work of the sports journalist. Chapters devoted to baseball, football, basketball, soccer, golf, and other sports give readers the inside story on what it’s like to cover a beat. Full-text articles provide samples of the contributors’ published work, followed by fresh and candid critiques by the authors themselves. Issue-oriented chapters address topics ranging from covering college, professional, or small-town sports, to ethical dilemmas in reporting, coverage of women’s sports, and racism in sports. With all the immediacy of an informal chat with the country’s leading sportswriters, this book is a valuable guide for beginning journalists and aspiring sports reporters. It provides sports fans in general with a fascinating view behind the headlines.